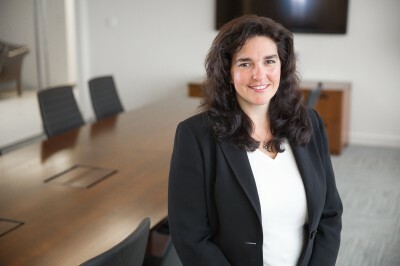 Kristen A. Bennett is the managing partner at Moore & Lee, LLP. Her practice focuses on construction, commercial litigation, and long term healthcare law. Ms. Bennett’s experience includes all facets of civil litigation. She has significant trial and appellate experience before several state courts, federal courts, arbitration panels, and administrative boards of contract appeals across the country. Her construction practice involves industrial, commercial, private and public projects. Ms. Bennett successfully represents contractors, subcontractors, sureties and owners in a wide array of cases including bid protests, mechanic’s lien matters, default termination cases, and delay, impact and inefficiency cases. In her long term healthcare practice, Ms. Bennett serves as national litigation counsel serving healthcare and long term care institutions including privately and publicly owned senior care providers, acute care facilities, insurers, healthcare REITs and investment groups. Ms. Bennett manages litigation across the country for her national clients assisting them with case evaluation, management, negotiation and resolution as well as risk management services pertaining to claims alleging negligence, abuse, and other matters. Ms. Bennett is a member of the American Bar Association, the Virginia Bar Association’s Construction Law and Public Contracts Sections and the New York Bar Association. Obtained a denial of bankruptcy discharge against a subcontractor that failed to pay a judgment entered in favor of general contractor. SOS Interpreting, LTD, B-293026 et al., 2005 CPD P 25 (Comp. Gen. Aug. 15, 2004), 2004 WL 3168962. Obtained $900,000 verdict in the U.S. District Court for the District of Columbia against the District of Columbia Water and Sewer Authority. Obtained summary judgment in favor of general contractor in a case brought by a subcontractor in New York State Court. Ms. Bennett was born in New York, NY.